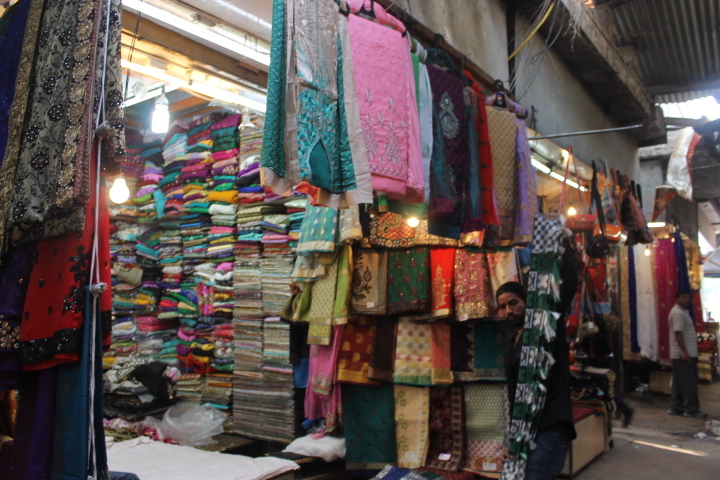 Hours: 10:30 a.m. – 10:00 p.m.
A fabric stall inside INA Market. India is heaven for markets. You can find basically anything you could ever dream of there: spices, food, scarves, saris (both insanely elegant and for everyday), souvenirs, clothes…you name it, you can find it there. And you can probably get it for less than half the original price, if you have good bartering skills. 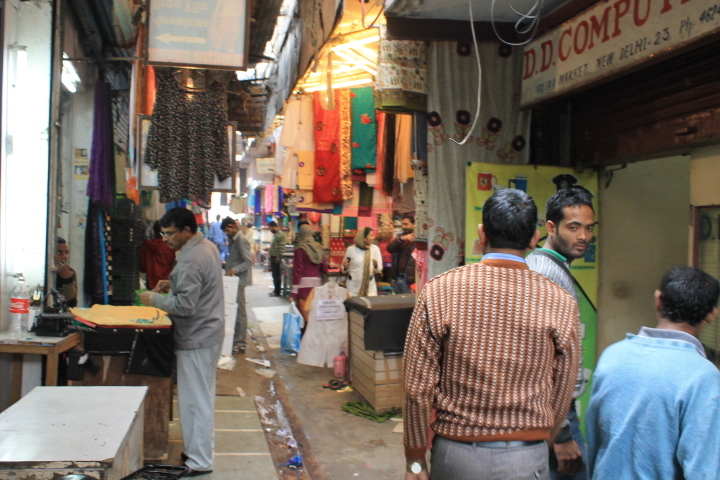 One outdoor market, Dilli Haat, was on my radar before I’d even arrived in Delhi. It’s definitely a tourist attraction rather than a hangout for locals, but that didn’t really lessen the appeal for me. Dilli Haat’s claim to fame is its food court, which gathers specialties from all over India into one place. You can eat your way around the country without ever leaving Delhi. What’s not to love about that? So I set off from Humayun’s Tomb with a growling stomach, set on wolfing down as much food as I could. The narrow aisles between the stalls of INA Market. Want news of my adventures to come straight to your inbox? Don't mind if I do!